All CSF share purchases are final. We are fishmongers, we work with domestic fisherman bringing their catch to market in the most efficient manner possible. We are fisherman, we care about our coastal cities and want our purchases to affect local economies of scale. We get fishy, we get into fish holds, we labor on the waters, sit on the docks and we live for fish. Our goal is to provide the public with a resource where the supply chain is completely transparent. We are picking up fish from small boats all along the Jersey shore ports, consistently cultivating and strengthening our relationships, so we can proudly bring their catch to market and enable consumers in the region to experience top quality American seafood. We will happily provide you with your own Local 130 Seafood insulated bag and gel pack to carry your seafood share home. We will do our due diligence in maintaining your seafood shares at the proper temperature through the transportation and distribution process. Once it leaves our hands, congratulations, the responsibility lies with you. Your share will contain attractive boneless fish fillets for easy preparation and consumption. Please note: there are no guarantees in life, the same holds true guaranteeing every fillet will be 100% boneless, but we will do our best. For the adventurous, please ask us about the whole fish option. We understand life can throw curve balls from time to time, traffic, schedule conflict, alien abduction, please just notify us within a 24 hour period if you won’t be able to make your scheduled pick-up. Any unclaimed shares will be donated to local food pantries. We cannot give a credit for any unclaimed shares or missed pick-ups, so if you have a feeling you won’t be able to pick up your shares, let us know! If you want to make any changes to your order, such as pick up time, location and contents - just let us know. We’ll be happy to fully accommodate any changes you need to make as long as we have 24 hours notice. If you’re going on vacation, have a great time and be sure to check out the local food - especially the local fish! Let us know when you’re away so we can put your share on hold for the duration of your trip. We’ll have your share ready for you once you’re back. We want you to be eating healthy whenever your home. Naturally one of our top concerns is the safety of our fishermen. These men and women are our lifeline to the source and mother nature can be, well you know what they say. If a delivery is cancelled due to hazardous weather conditions or from other unforeseeable circumstances, we will be sure to notify you via email. If by some small chance, and we do mean small, a failed delivery happens on our end, we will take full responsibility and fairly compensate you. Your happiness is our happiness and our top priority. Nothing. 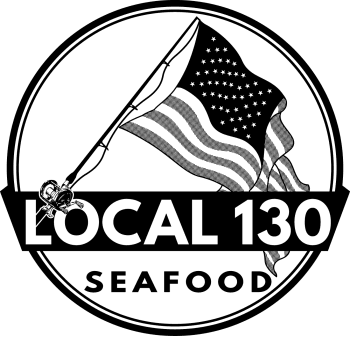 Local 130 Seafood will never give out any of your personal information including email, address and favorite fish. We will only use this information to get your fish to you in time for dinner!